H2O Just Add Water H2O Season 3 Necklace! 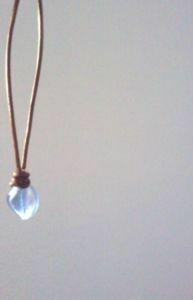 I'm thinking about trying to get this H2O Season 3 Necklace! I'm not sure if it's worth it though, I really want it but what about the price? And my friends and I were looking for a group necklace but they might not get it! So what should I do?! Also if you have a better H2O Season 3 Necklace Replica that's cheap please post below also! I'm getting mine from sterling silver art! They have replicas for Cleo's, Bella's, and Rikki's. They aren't very cheap, but they are nice and pretty! Besides, they don't ship out of Germany anyway.